Research has shown that family-centred care has hit a crisis; professionals do not undestand its importance and universal guidelines have been considered unethical. So how does a 30-year-old practice change? Research has shown that family-centred care has hit a crisis; professionals do not understand its importance and universal guidelines have been considered unethical. So how does a 30-year-old practice change? 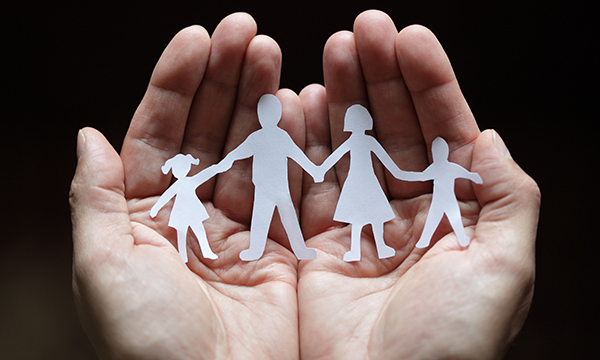 Family-centred care is in trouble. For 30 years, hospitals and health services around the world have been trying to implement it. Websites, policy documents and guidelines abound with statements like... ‘committed to an approach that has been adopted by paediatric hospitals around the world. It is known as patient and family-centred care and is based on the four key principles of respect and dignity, information sharing, participation and collaboration,’ (Children’s Hospital Queensland Hospital and Health Service 2017), ‘committed to providing care in partnership with patients and families,’ (Royal Children’s Hospital Melbourne) and ‘For us, child and family-centred care is an approach to care and service delivery that recognises that the child, or patient is at the core of all that we do and that the family is central in the child’s life and therefore central to our care processes,’ (The Hospital for Sick Children 1999-2014). One of the first studies of family-centred care, by Philip Darbyshire in the early 1990s (Darbyshire 2015), suggested that it was the ideal way to provide care to children facing the emotional trauma of a hospital admission. Children in such a situation want their main support people – usually their parents – around them. But even in those early days, Darbyshire found that all was not well with the implementation of this wonderful-sounding and intuitively correct model. His work provided insight to why the then new model of family-centred care would run into trouble. Many publications about family-centred care followed, promoting, discussing, endorsing, and championing this way of caring for children who need health services. There is something noble in statements about partnering with families, family being central and so forth. Warm and fuzzy statements look good on posters, in hospital booklets and on websites. Unfortunately, research began to show that all was not well with this well-intentioned model of care (Watts et al 2014). The problem seems to lie with human nature not with the model itself, which, as Darbyshire (2015) has always contended, is an ideal. Many researchers have found that health professionals do not understand what family-centred care is about and tend to become judgemental when a parent is seen to not meet the health professionals’ expectations of how a parent of a sick child should act (Watts et al 2014). Others have found that health professionals can act as gatekeepers to the admitted child, while others have been found to punish parents if they do something which the health professional disagrees with (Watts et al 2014). Many nurses can think of situations like this – it is hard, given human nature, to prevent this type of thinking. Despite years of education and programme development, such things continue to happen, and this is the antithesis of family-centred care. One of the main problems with family-centred care is the lack of evidence of its effectiveness (Shields et al 2012) and now it is too late to measure it properly. The model is ubiquitous across health services in all countries, too many people think they know what it is meant to be, but too many do not understand what it is all about, and too many health services have implemented it as policy because it sounds nice (Shields 2015). The horse has bolted. Two new models are emerging. Pragmatic children’s nursing is being suggested by Duncan Randall. It is based on the idea that ‘there is no “right way” to do children’s nursing…we have to attend to the doubts or meanings which are raised in clinical practice’ (Randall 2016a). While pragmatic children’s nursing is, at this stage, theoretical, it is based on practicalities. It says that in a practical way, all situations where nurses nurse children and their families must be approached individually and care crafted around the particular needs, situations and problems of each individual child and family. The other new model is ‘child-centred care’ and it is relevant to all disciplines who care for children. Carter et al (2014) argue that in the push to implement family-centred care, we have lost sight of the child; by putting so much emphasis on parents and family members, we have forgotten that our care is about the children themselves. They describe child-centred care as a model where the family and parents are still central to the child’s health and well-being, particularly during a potentially traumatic event like a hospital admission or a visit to the GP or clinic. The child is kept in sight as the central person in these healthcare interactions and children must be active agents in their own health care. They have a right to participate and must be an integral part of any partnership in care delivery. In family-centred care, the child is inherently part of the whole family, but in child-centred care the child is an individual whose needs are paramount, and whose needs may not necessarily always match those of the parents and other family members. Carter et al (2014) suggest that for child-centred care to be successfully implemented, we must reinstate the child as the core of the child’s admission, retain parents as an integral part of that core, negotiate with children and parents about what level of involvement is best for them, and educate all health staff about how best to do this. We must also educate children, parents and families about involvement during encounters with healthcare, and provide the family with as much support as possible. Coyne et al (2016) have explored the new child-centred care, and agree with Carter et al (2014) that a dominance of professionals or family members involved in care creates an asymmetric relationship towards the child, and this possibly compromises the fundamental rights of the child of protection, participation in care and promotion of their own well-being (United Nations 1989). They argue that the child’s perspective needs to be strengthened and that the children are to be regarded as respected, singular agents who can represent and negotiate their own experiences and wishes. All this is age dependent, and as these theories and models evolve and are tested, such factors will be under scrutiny. A danger for the new models exists. Family-centred care is notoriously under-tested. There is no evidence that it works or makes a difference, but it is so ubiquitous that it has become a sacred cow, immune to critique or questioning (Randall 2016b). It is important that these new models do not suffer the same fate. Child-centred care, like family-centred care, sounds lovely, but it would be unethical to universally apply it to all children’s healthcare situations unless we know it works. To that end, an international collaboration has been set up early in the developmental process. Its job is to develop Carter et al’s (2014) definition further to make sure everyone knows exactly what it is all about, and to work out how to test the model in ways that were never applied for family-centred care. Randomised controlled trials, with supporting quasi-experimental studies and qualitative studies to explore the meaning of the new model for children, families and health professionals are planned. This is the only way we will be able to avoid the mistakes that have dogged family-centred care. Carter B, Bray L, Dickinson A et al (2014) Child-Centred Nursing: Promoting Critical Thinking. Sage, Thousand Oaks CA. Children’s Hospital Queensland Hospital and Health Service (2017) Our Services. Darbyshire P (2015) Living with a Sick Child in Hospital: the Experiences of Parents and Nurses. Randall D (2016a) Pragmatic Children’s Nursing: a Theory for Children and their Childhoods. Routledge, Abingdon. Randall D (2016b) Pragmatic Children's Nursing: Beware Sacred Cow Crossing. Royal Children’s Hospital Melbourne (2017) Patient Family Centred Care. Shields L, Zhou J, Taylor M et al (2012) Family-centred care for hospitalized children aged 0-12 years: a systematic review of quasi-experimental studies. JBI Library of Systematic Reviews. 10, 39, 2559-2592. Shields L (2015) What is family-centred care? European Journal of Person Centered Healthcare. doi: 10.5750/ejpch.v3i2.993. The Hospital for Sick Children (2014) Child and Family-Centred Care. United Nations (1989) Convention on the Rights of the Child. UN, Geneva. Watts R, Zhou H, Shields L et al (2014) Family-centred care for hospitalised children aged 0-12 years: A systematic review of qualitative studies. JBI Library of Systematic Reviews. 12, 7, 204-283.